Plot Synopsis: What surgeons thought to be a tumor growing on the neck of patient Karen Tandy (SUSAN STRASBERG) is actually a fetus growing at an abnormally accelerated rate. But when Karen reaches out to former lover and phony psychic Harry Erskine (TONY CURTIS), she discovers that she is possessed by the reincarnation of a 400-year-old Native American demon. 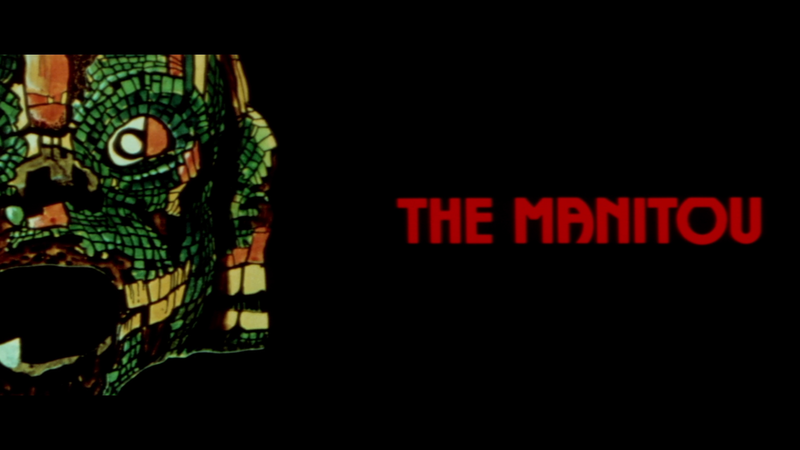 Now with the help of a modern-day medicine man (MICHAEL ANSARA), Erskine must survive this ancient evil’s rampage of shocking violence and forever destroy the enraged beast known as The Manitou. Quick Hit Review: The Manitou starts off well enough with some genuine fantasy-horror elements but devolves as the film went along, going full on stupid (in a good bad kind of way) in the insane third act. 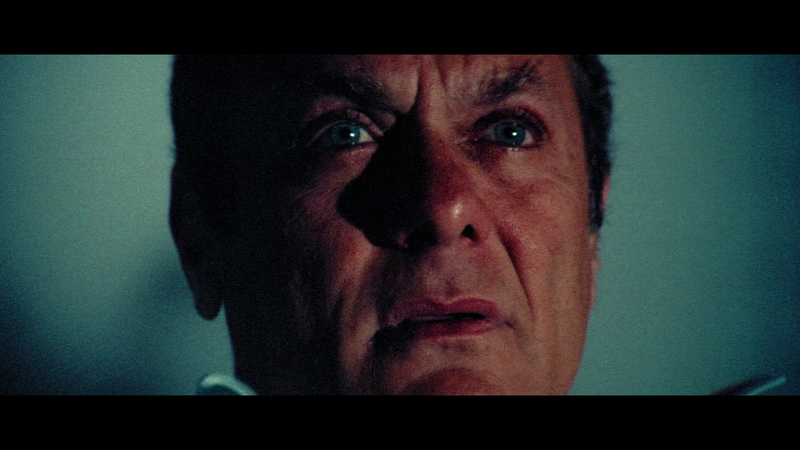 I will say, Tony Curtis actually wasn’t half bad in the lead and it was fun seeing Burgess Meredith in a small part, serving only to deliver exposition. But other than that, this is kind of a forgettable 1970s-era film. No slip cover but there is reversible artwork revealing the film’s original poster artwork. Not a ton of features, but there is a new Audio Commentary with Film Historian Troy Howarth; interviews with Executive Producer David Sheldon (11:00) and Author Graham Masterson (28:11), a Theatrical Trailer (2:22), some TV Spots (1:32) and a Still Gallery (6:56). 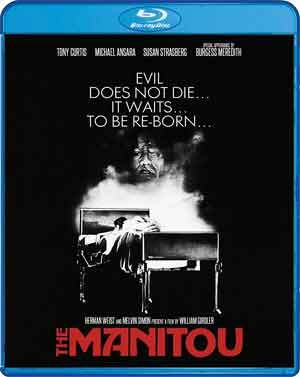 Shout Factory unleashes The Manitou onto Blu-ray presented with a 2.35 widescreen aspect ratio and a new 1080p high-definition transfer taken from a 2K scan of the original film elements. This was a nice looking picture, detail was decent and colors probably on par with how it originally was shown in theaters and black levels was stark. There were some minor specs here and there, but nothing terribly distracting. Overall, The Manitou is a ridiculous and just dumb fantasy-horror movie that had some okay performances all things considered, but some laughably bad moments, enough probably making this on the good-bad range, perhaps fun to watch in a group setting.